Christian Stoltzfus, Jr. joined the Fire Company as a Junior Firefighter when he was 17 years old. He is the fifth son in a lineup of nine boys in his family. All of his older brothers had become firefighters before him so it was natural for him to join too. In addition to responding to fires, Junior has served as a lieutenant and a captain. Presently he is Captain 2. His specific assignment for the past seven years has been to manage the personal protective equipment for the Fire Company. This includes outfitting new firefighters in their firefighting gear, keeping track of inventory stored in the basement, and making sure every firefighter’s gear is in good repair and up-to-date. a lot of meeting time and research. He recalls making two trips to the Pierce Manufacturing, Inc. in Appleton, Wisconsin as part of the process of purchasing and customizing the new tanker that was put into service in March 2014. Junior encourages young people to stretch themselves and take responsibility by becoming a firefighter. Get out and meet new people and then learn to work with them! 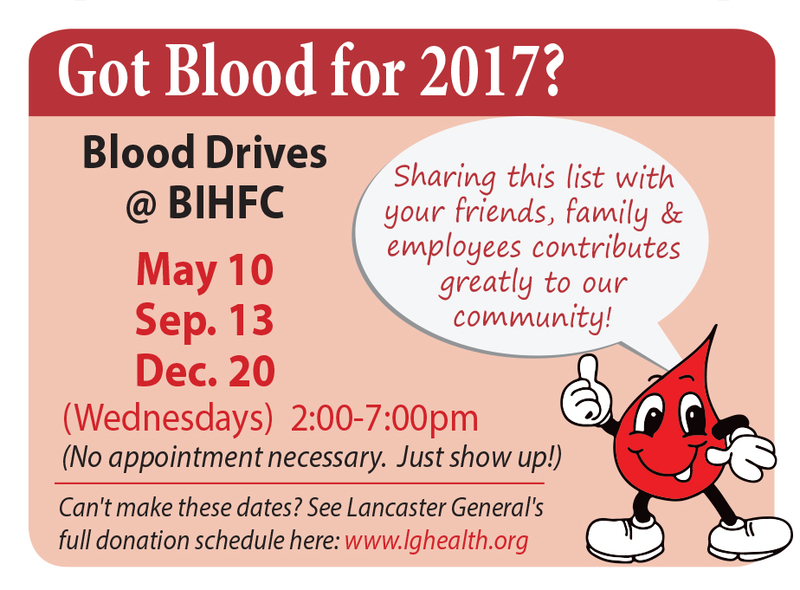 It is a very worthwhile priority in life to help neighbors and that is what keeps Junior serving his community. 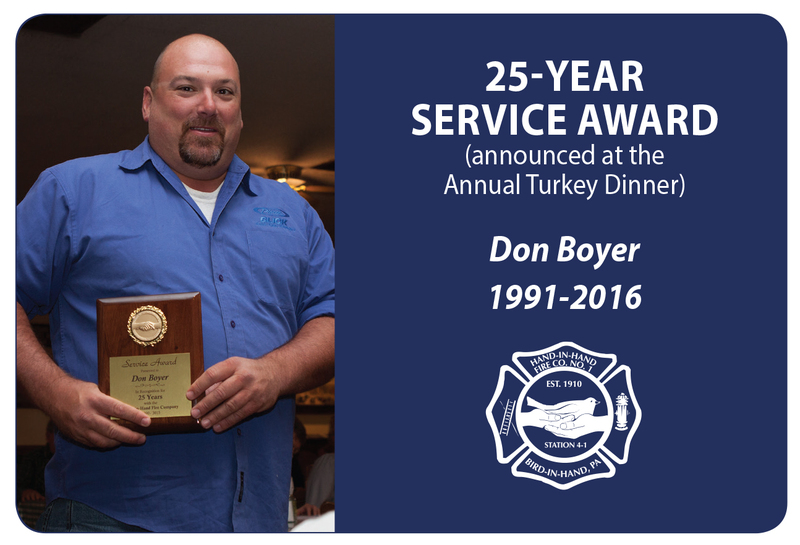 Junior was named Firefighter of the Year at the Fire Company Turkey Dinner on November 16, 2016. 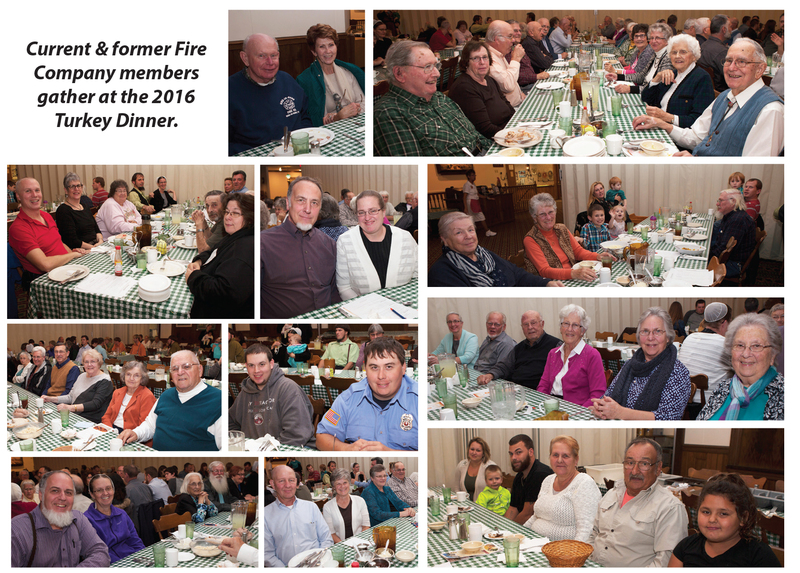 The Fireman of the Year is chosen through a peer nomination process. Many in the Bird-in-Hand community are undoubtedly familiar with the New Testament story of the Good Samaritan. In that parable, the Good Samaritan tosses aside his ideas of race, culture, and class and decides to help a person in need (his neighbor) on the basis of kindness and doing the right thing. Is a firefighter’s motivation any different? 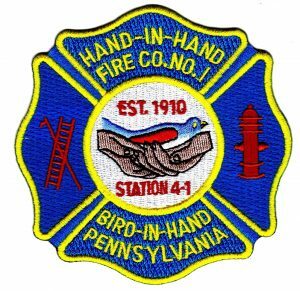 At the Bird-in-Hand Fire Station, we welcome community members who want to help others and want to make a difference for someone who is experiencing a crisis. The Fire Company’s mission statement mentions “all who are willing to serve.” The finer details of being a firefighter, such as how to fight a fire, how to rescue a person from a crashed car, or how to drive a fire truck can readily be taught to a person who is motivated to serve others and be a team player. 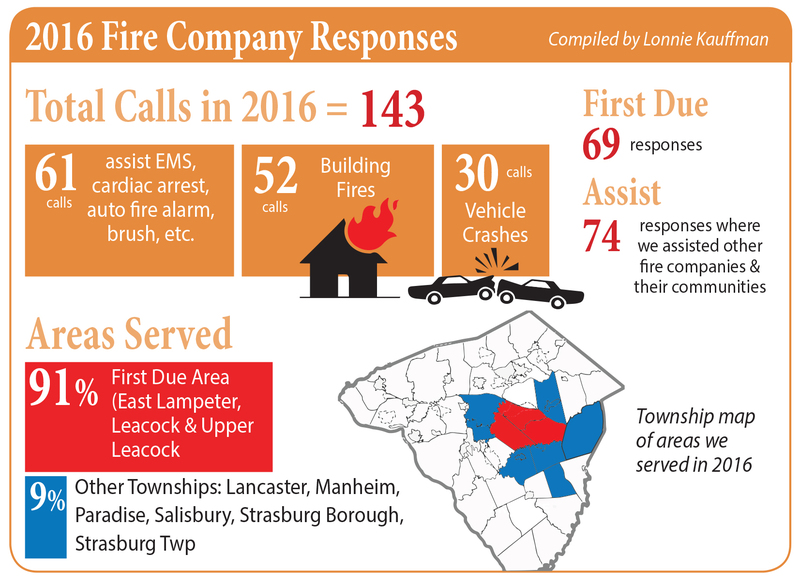 JM Lapp, a heating and plumbing company, is located one mile east of Bird-in-Hand at 919 Old Philadelphia Pike. Owner Matt Lapp began his business in 2006 when he decided to branch out on his own after working eight years for another plumbing company. Marking its tenth year in business in 2016, JM Lapp has experienced significant growth and today has 16 full-time employees and a fleet of 13 trucks. They service homebuilders, light commercial projects, and residential customers within a one hour radius of their shop with plumbing, heating, air conditioning, and water treatment. Because Matt loves to run, he has taken part in most of the Bird-in-Hand Half Marathons. When the Fire Company asked him about providing bottled water from his company for participants as they finished the course and for spectators as they cheered under the hot sun, Matt readily agreed. His generosity obviously helps the Fire Company take care of the runners. On the other hand, the 4,000 water bottles with his name and logo help get the word out about his company. It is a win/win for everyone. Every year several of the staff members at JM Lapp support the Fire Company by running in the Half Marathon. 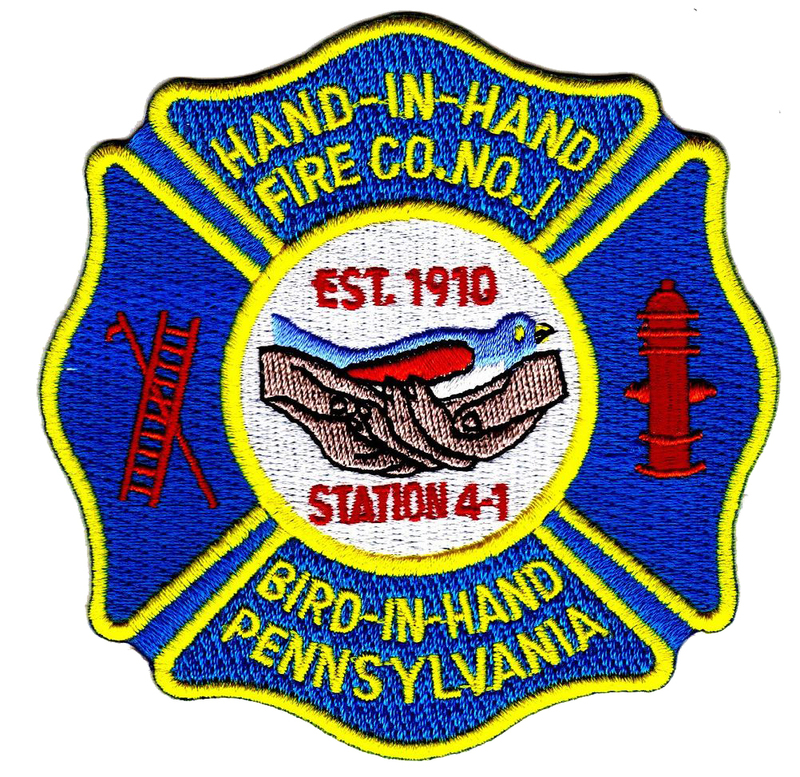 Another connection is that a Bird-in-Hand firefighter is a JM Lapp employee. Matthew Fisher, son of Daniel Fisher and grandson of Dan Fisher, works in inventory and shipping and is in charge of the retail store that stocks products to supply area farmers with their plumbing and water needs. The goals for JM Lapp are top quality plumbing and heating work and ncommon customer service. 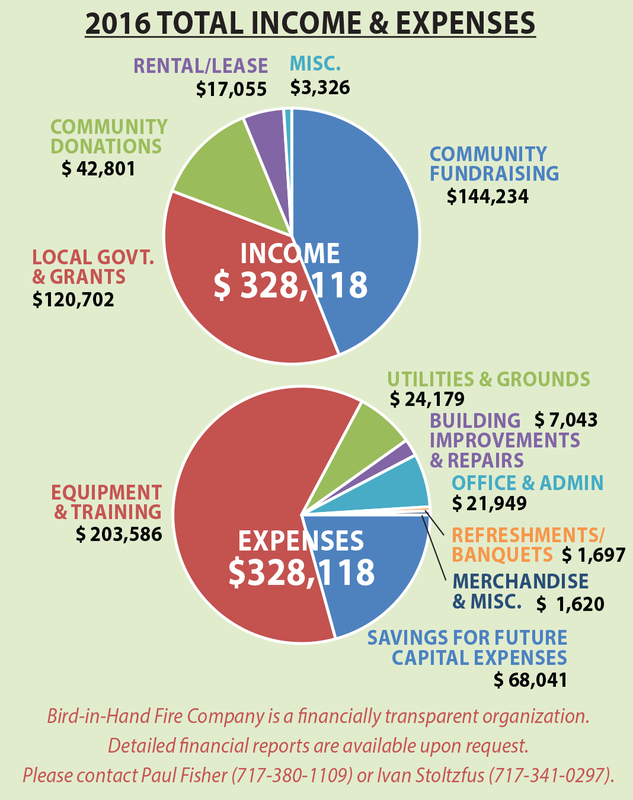 But beyond that, Matt’s company wants to invest in the local community and they value the trusted relationship they have with the Bird-in-Hand Fire Company. 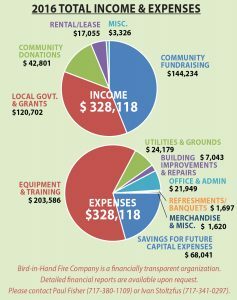 In return, the Fire Company likes to support local businesses, so they have chosen JM Lapp to install an additional heating system for the basement of the Fire Hall. 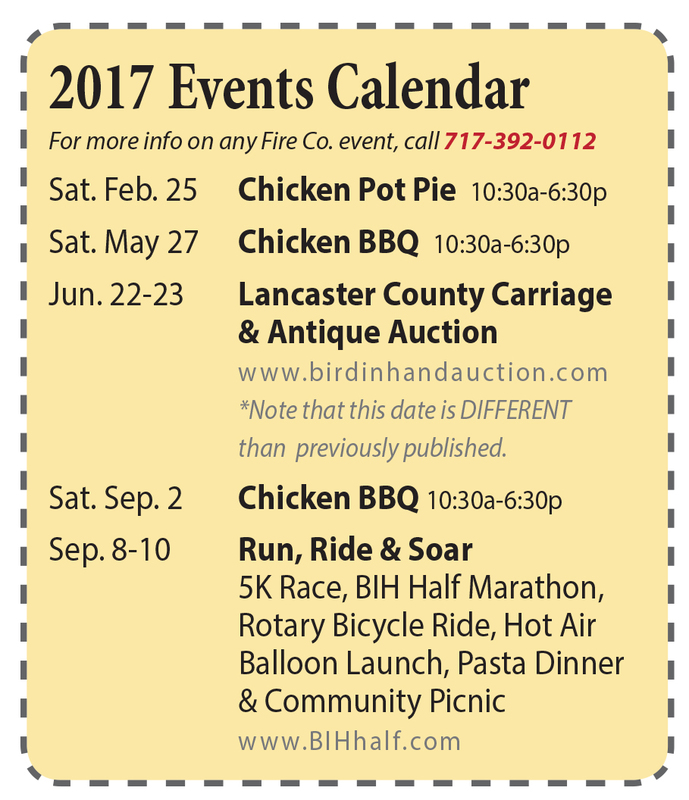 Employees of JM Lapp who ran in the 2016 Bird-in-Hand Half Marathon are Levi Stoltzfus, Daniel Ranck, Matt Lapp, and Michael Stoltzfus. 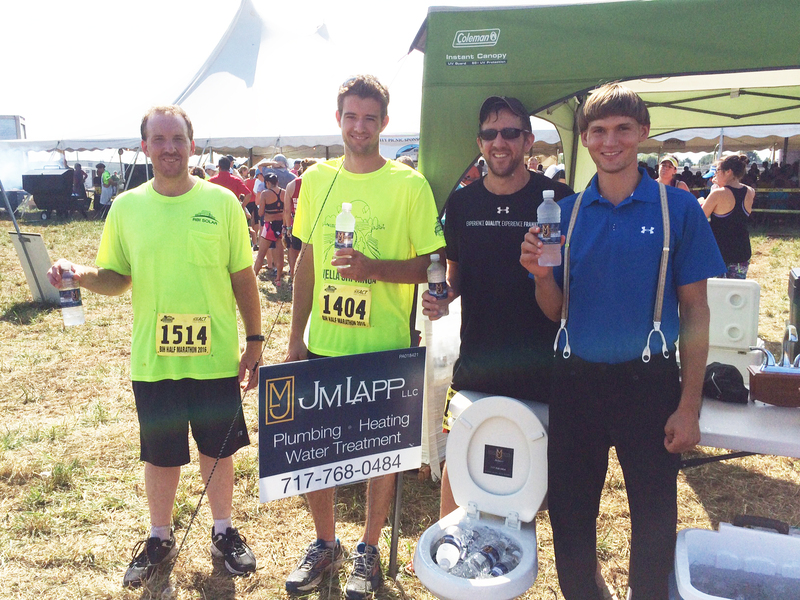 They, along with many other runners, appreciated the JM Lapp water bottles after the race.